Headliners The Maccabees lead the first acts announced for Summer Sundae Weekender held at De Montfort Hall, in Leicester from Friday 12th to Sunday 14th August 2011. The first headliner to be announced for this summer is South London quintet The Maccabees. Also confirmed for the main stage is guitarist Graham Coxon, and Newton Faulkner. Other acts confirmed today are The Bees, Bellowhead, The Cuban Brothers, Wilko Johnson, John Cooper Clarke, Little Comets, CW Stoneking, Liam Bailey, Benjamin Francis Leftwich, The Raghu Dixit Project, Skinny Lister, Dizraeli and the Small Gods, and Various Cruelties. There are also two artists who were booked after performances at Eurosonic festival in Groningen this January as part of the European Talent Exchange Program (www.etep.nl), they are The Black Atlantic, and Mama Rosin. This year the festival will offer improved camping facilities and further investment in The Garden, Kidzone and The Village areas.  The three day family friendly music festival with full camping facilities offering festival goers over 100 acts with an eclectic mix of live bands of all styles and genres over six stages, and high calibre comedy in the eFestivals Cabaret Tent. The event offers a civilised and relaxed atmosphere, an unwavering ethical standpoint, high production values, a quality range of foods from around the world, 20 cask ales and a mean line in cocktails (all reasonably priced) at four bars throughout the site, not to mention stalls, and high calibre comedy in the eFestivals Cabaret Tent. Early bird tickets for Summer Sundae Weekender 2011 are now on sale, until 4th April, priced at just £105 - a saving of £10 on the full price. These festive ticket prices would make the ideal Christmas present and are only available for a limited period until Sunday 2nd January. A family ticket for four (2 adults, 2 children) is priced at £275, an early bird child (aged 5-15 years) will be priced at £40, and under 5s go for free. Day tickets and other options will be available a later date. Camping tickets are also available. Camping tickets are per person, not per tent, an adult camping ticket is priced at £9, a child camping ticket is priced at £4.50, quiet or family camping £12 (Regents College), and child family camping £6 (Regents College), a camper vans and caravans ticket is priced at £35. eFestivals is pleased to again sponsor Summer Sundae Weekender. This is part of eFestivals' commitment to put 10% of our turnover back into festivals, making festivals better for us all.